Take a break. Step away from your work. Leave your house. Change your name. Don’t tell your loved ones where you’re going. Let them think you died in that plane crash. Three decades later, reappear with a younger, blonder wife and a memoir about the life you led on the run. 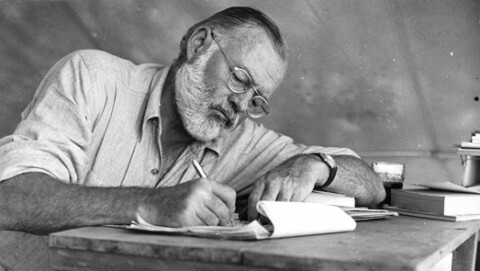 Hemingway never got writer’s block. Every day, he stood across the room from his typewriter and shot each letter key with his pistol. Then he would down a fifth of whiskey and sleep with an alluring yet emotionally distant woman. That’s what you need as a writer: a consistent routine. Try using a writing prompt to get started. Here’s one: what if you never break through this block, and wander through life feeling dull and uninspired, half believing you have wasted your potential and half understanding that you never had any potential to begin with? What about that Twilight lady? She’s pretty big these days. What if you did that, but with zombies? Think about it. ← Is this what you were looking for?